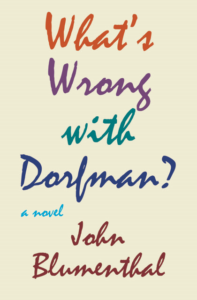 Both a medical mystery and a family saga,”What’s Wrong With Dorfman?” is the story of Martin Dorfman, cynic, hypochondriac, and burned-out screenwriter. 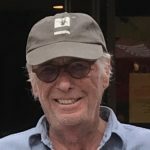 A new novel by John Blumenthal, published by Regal House Publishing, to be released in 2019. Beset by awkward interpersonal skills, an obsession with classic literature and the somewhat archaic speaking style of a Jane Austen character, Ishmael Archer seems destined for the lonely life of a literature professor at the academic backwater of Longfellow College. While he yearns for female companionship, a recent acrimonious divorce has left him in a state of emotional fragility. Struggling to pay his rent and desperately trying to maintain a car with one tire in the grave, Ishmael is obliged to undertake one of his most dreaded tasks: teach a summer creative writing class. Convinced that he will be saddled with a group of student malcontents who care not a whit for Tolstoy or Dickens, Ishmael is delighted to encounter the luminescent Abigail Bird, whose passion for literature equals his own. Their burgeoning romance is cut abruptly short when Abigail suffers a traumatic head wound and falls into a coma. Distraught, Ishmael reads the unconscious Abigail passages from her most cherished novels. 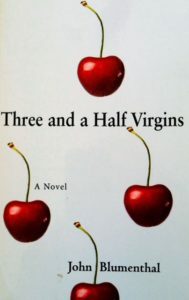 When she finally awakes, however, Abigail is inexplicably changed and Ishmael must find a way to connect with the Abigail Bird with whom he had originally fallen in love. 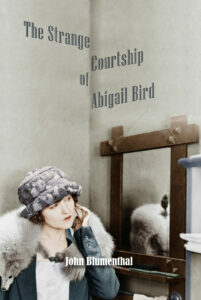 Peppered with an enthralling cast of characters—a college dean obsessed with orchids, a Greek landlord with a deep affinity for the works of Ernest Hemingway, and a self-important writer who vies with Archer for Abigail’s affections—The Strange Courtship of Abigail Bird is a heart-warming tale of love, loss, and rediscovery.